Bob Lamonica, (birthday 12/22/50), is a long time political activist. Bob is self-employed in technology marketing communications and married to Jane Heyse. They reside in Santa Cruz. “Retirement,” whatever that means, is slated for December 2017. Lamonica’s still-favorite political action was Open Gatherings, small group discussions aimed at balanced participation that were offered in Bay Area cafes, including in Santa Cruz, from 1983 to 1991. He ran for city council in East Palo Alto in 1990, coming in last. 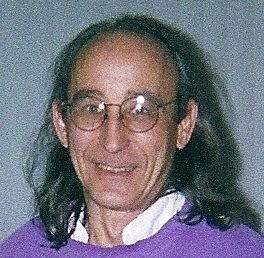 He helped collect signatures for the Santa Cruz Medical Marijuana measure in 1992. He was a key proponent of the mid-90s District Attorney Art Danner Recall. He launched a legal challenge to the Masonic Plaque on the Santa Cruz County Courthouse Building in the late 90s. He worked on attempts to get rent control and pedestrian mall measures on the Santa Cruz city ballot in the late 90s and early 00s. He was active in bringing the USS Antietam to visit the Port of Santa Cruz in 2000. He initiated and was co-producer of the first Santa Cruz Industrial Hemp Expo in 1998 and producer of the succeeding 3 annual events. He got reactivated late 2010 over the “Wes Modes Affair” after Modes became the only participant convicted in the 2009 Do It Yourself New Year’s Eve Parade.